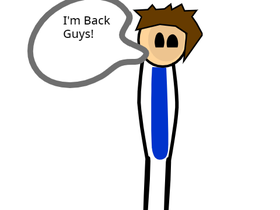 Boy After three months of never going on scratch, EVER.............................I'M BACK PEOPLE!!!!!!!!!!!!!!!!!!!!!!!!!!!!!!!!!!!!!!!!!!!!!!!!!!!!!!!!!!!!!!!!!!!!!!!!!!!!!!!!!!!!!!!!!!!! Super Mario Maker is finally released! Check it out!